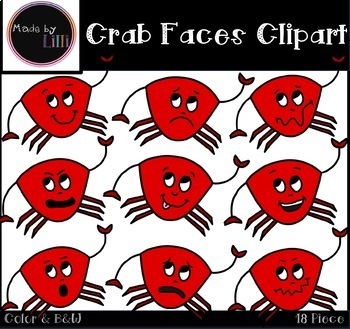 I am offering this Crab Faces clipart set, which has super cute emotion faces for all your lesson plan goodies! This is a 18-piece set in BOTH, B&W and Color!!! Let me know if you like it, or if you have any suggestions.